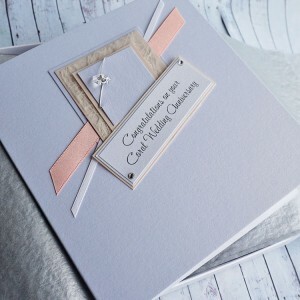 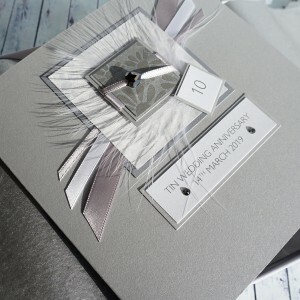 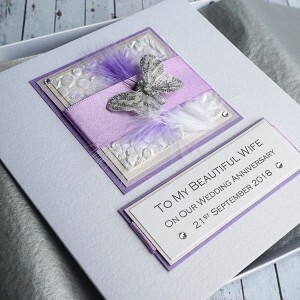 These handmade personalised cards are all suitable for wedding anniversaries, wedding day cards, engagements...simply alter the wording on the front when ordering! 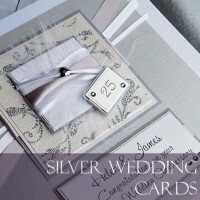 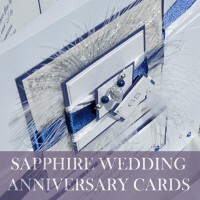 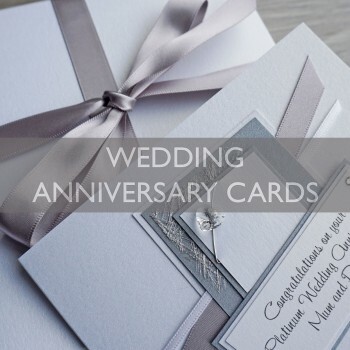 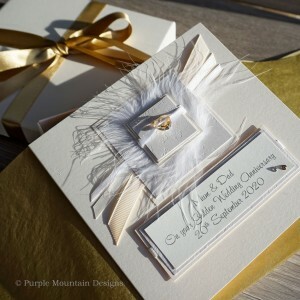 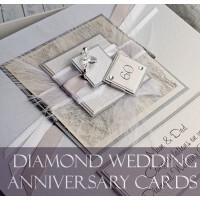 All of our cards can be personalised for FREE, so you can be sure to find a special card, whether it is to celebrate a first wedding anniversary or a silver (25th), pearl (30th), ruby (40th), gold (50th) or diamond (60th) wedding anniversary. 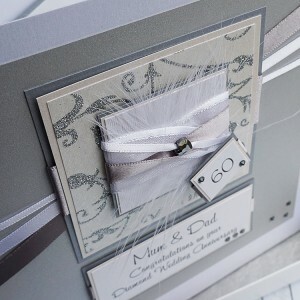 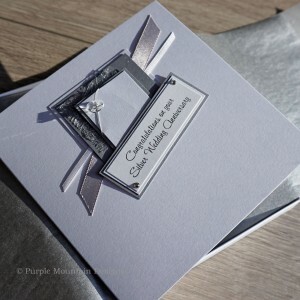 As our cards can alll be personalised you will be sure to find a suitable card for a Husband or Wife, Brother, Sister, Mum & Dad, or Grandparents. 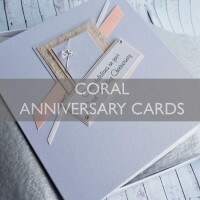 Personalised Boxed Card "Coral Wedding Anniversary" A Swarovski crystal heart mounted o..
Diamond Wedding Anniversary Card "Champagne"
Boxed Diamond (60th) Wedding Anniversary Card "Champagne" A beautiful personalised card to ce..
Personalised Boxed Card "Platinum Wedding Anniversary" A Swarovski crystal heart mounte..
Personalised Boxed Card "Silver Wedding Anniversary" or Wedding Day A Swarovski crystal heart..
Silver Wedding Anniversary Card "Champagne"
Boxed Silver (25th) Wedding Anniversary Card A beautiful personalised card to celebrate a Sil..
Tin Wedding Anniversary Card This card for a tenth or tin wedding anniversary has a beautiful..
10th Wedding Anniversary Card "Cocktail"
Boxed 10th Wedding Anniversary Card "Cocktai" A beautiful personalised card to celebrate a 10..
First Wedding Anniversary Card "Pink Champagne" First wedding anniversary card for wife can a..
Boxed Golden Wedding Day Card "Elegance" A lovely card for a wedding, engagement or anniversary ..
Ruby Wedding Anniversary Card for Mum & Dad, Grandparents etc, personalised A boxed ruby ann..
Boxed Ruby (40th) Wedding Anniversary Card for Mum and Dad A beautiful personalised card to c..
10th Wedding Anniversary Card "Butterflies" This card for a tenth wedding anniversary can be .. 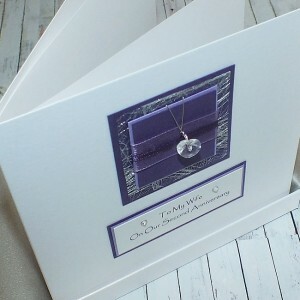 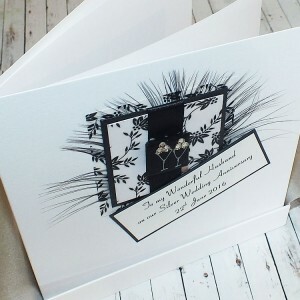 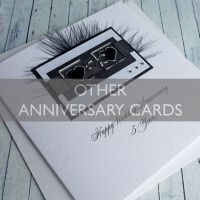 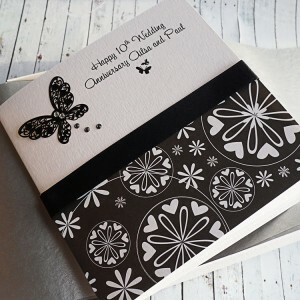 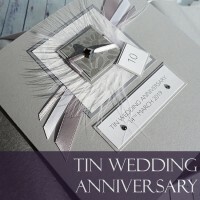 Luxury Wedding Anniversary Card "Black & White" A beautiful black, white and purple boxed..
First Wedding Anniversary Card "Purple Sparkle" A wedding anniversary card for wife, husband,.. 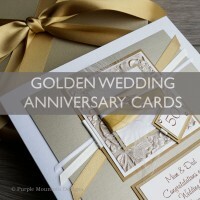 Luxury Boxed Wedding Anniversary Card "Purple Sparkle" A wedding anniversary card for wife, h.. 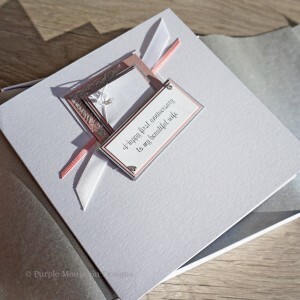 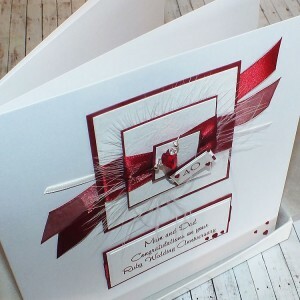 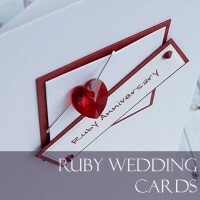 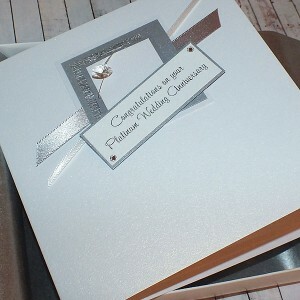 Handmade Card for Ruby Wedding Anniversary for Mum & Dad, Grandparents etc, personalised .. 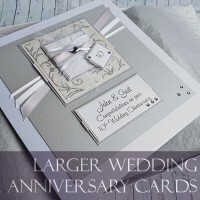 Handmade Wedding Anniversary Card "Jigsaw Hearts" This handmade anniversary card features pie.. 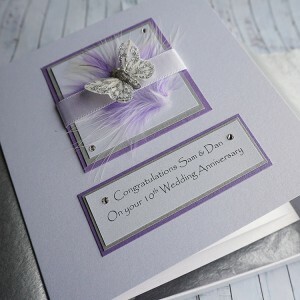 Handmade Wedding Anniversary Card "Lilac Feathers" A pretty boxed anniversary card personalis..